The Atacama Desert is an area of extraordinary beauty and astounding natural wonders, from the Atacama Salt Flats, which are home to colonies of nesting pink flamingos and the sacred Incan sites, to the many volcanoes, including the Licancabur Volcano which was a ceremonial center during the Incan period. 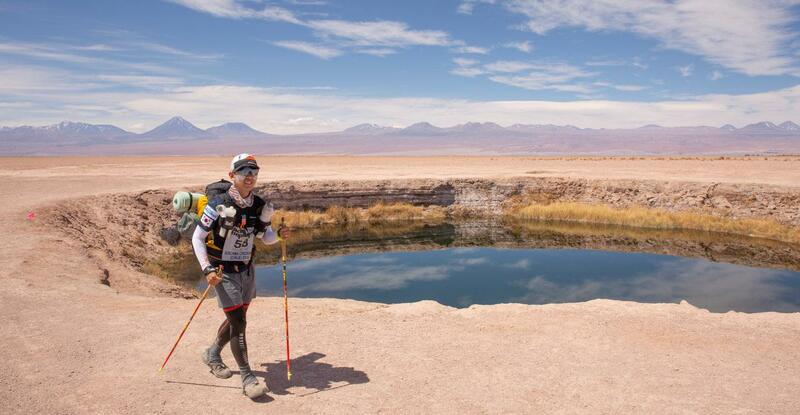 The Atacama Crossing takes place in the Atacama Desert in northern Chile – the host town is the wonderful oasis of San Pedro de Atacama. Ranging from dry arid desert, magnificent salt flats stretching as far as the eye can see, sand dunes which will literally take your breath away, to the glittering night skies that only a desert can provide. Explore one of the four astounding deserts in the world. The archeological jewel of Chile’s rainless plateau, the Atacama Desert, spreads through Chile, Bolivia and Peru. The Atacama Crossing takes place in northern Chile - the host town is the laid back pre-Inca town of San Pedro de Atacama.The small oasis is located in the region of Antofagasta and 100 kilometers / 60 miles southeast of Calama and the Chuquicamata copper mine, overlooking the Licancabur Volcano. At 2,400 meters / 7.875 feet, and with a permanent population of only 5,000 people, the fantastic atmosphere of the town lends itself to amazing food, comfortable hotels, hostels and an all-around great vibe. The course of the Atacama Crossing itself is surrounded by forty-four snow-capped volcanoes, with the Lincancabur Volcano always in some range of proximity. The amazing course takes competitors through the magnificent Slot Canyons, which have been referred to some as being in a world with Alice In Wonderland, and The Valley of the Moon, with its lunar resemblance feels as though you are traversing an out of this world terrain. 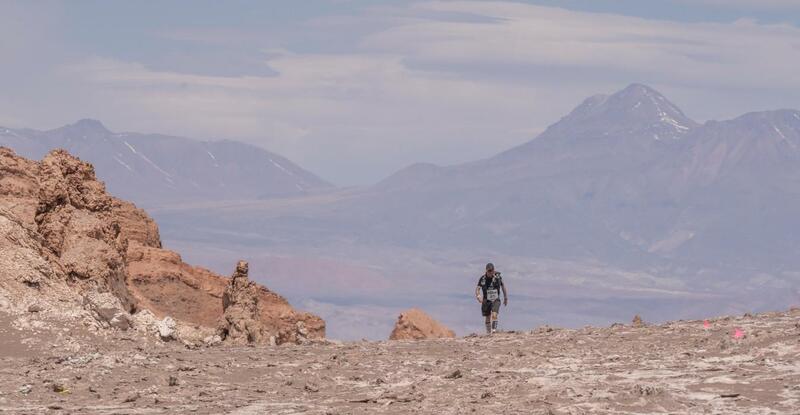 Not only will competitors feel as though they have stepped off planet earth, they will have the opportunity to travel across the special ALMA land, which houses one of the largest telescopes in the world – it is a specially protected area for which 4 Deserts has exclusive access once a year for the Atacama Crossing. 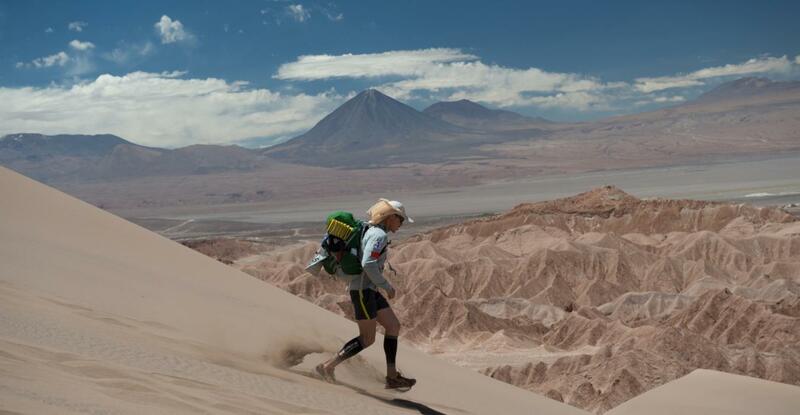 The Atacama Desert is the driest non-polar desert in the world. It is also one of the driest places on earth! However, as this is a desert in proximity to the Andes Mountain range, there can be a chance of some extreme weather including strong winds, rain in the mountains and variations in temperature (as low as -1°C / 30°F at night and even higher than 35°C / 95°F during the day). September and October are considered to be the months which have the best weather in the Atacama Desert area around San Pedro. It is generally warm and mild, with temperatures reaching 25°C / 77°F during the day. At night it reaches close to 0°C / 32°F. 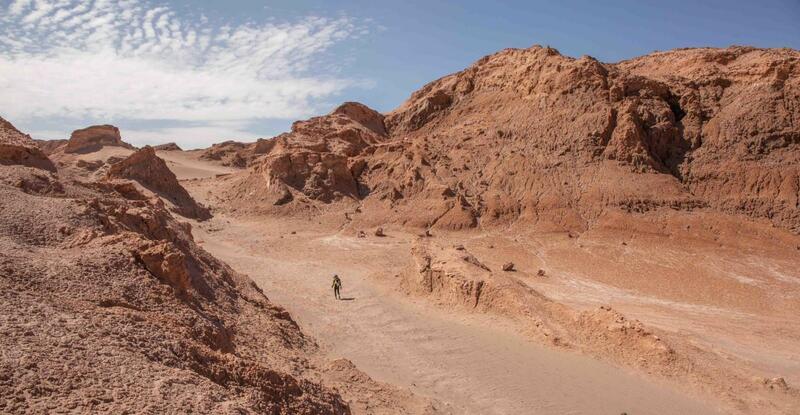 In recent years, NASA has been testing its Mars Rover and other instruments and vehicles for Mars missions in the Atacama's dry and rugged landscapes. The desert has also been used as a location for filming Mars scenes, most notably in the television series Space Odyssey: Voyage to the Planets. The dry air and low levels of artificial light create perfect conditions for seeing the stars and the area is home to one of the largest telescopes in the world. This desiccated environment is the perfect preserver of ancient relics, with the world's oldest mummies (of the Paleolithic Chinchorro tribe), having been discovered in the Atacama, thought to date back to 7000BC. Huge geoglyphic paintings adorn hillsides and ruins of Indian fortresses and sacred Inca sites dot the landscape. Research shows that people began to settle in the Atacama Desert away from the coastal areas around 1500BC. The Atacameno, who were noted for their fortified towns known as pucaras, were originally hunters in search of water, but soon began to domesticate llamas, and grow maize eventually settling the oases of Calama and San Pedro de Atacama between 100BC and 400AD. By 1000AD, the area came under the control of the Tiwanaku of Bolivia, and then in 1450 the Inca Empire swept in briefly before the desert came under the power of the Spanish. Today, the desert's population is approximately one million, with most people living in the coastal cities such as Iquique, but some are in the small oasis communities and mining camps. The Altiplano is still the home to descendants of the region's pre-Columbian natives, the Aymara and Atacama Indians, who live the age-old lifestyles of herding llamas and alpacas and growing crops. Along the course, some of the local wildlife might make an appearance, including wild donkeys, vicunas, llamas and alpaca – we challenge to spot the difference (excluding the donkeys!). 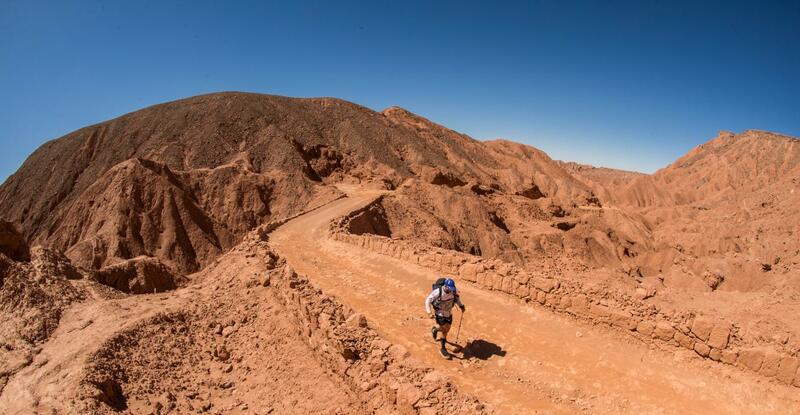 The course of the Atacama Crossing allows competitors to experience some of the rich culture in the area by taking them along the Old Inca Road and through the Slot Canyons where they will see rock art from Pre-Incan times.Truly an amazing experience to witness such history in its natural element.